The UEFA Champions League saw plenty of major results this week, but arguably the most seismic of them all happened on Tuesday, as Ajax dumped holders Real Madrid out of the competition following a 1-3 win at the Bernabeu. 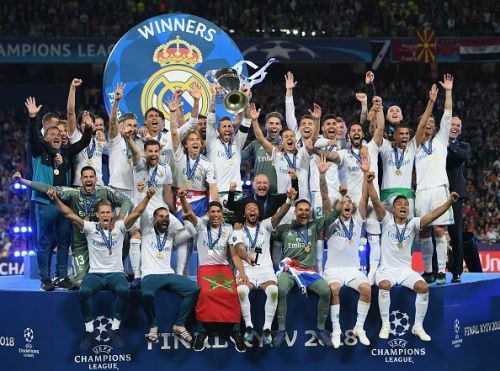 Over the last 5 seasons, Los Blancos have had a stranglehold on the Champions League, winning the famous trophy 4 times and reaching the semi-finals in the lone season they failed to secure a victory. But only fans of Real would suggest that their loss this week is a bad thing for the Champions League. In fact, it’s the complete opposite – Real’s exit is a great thing for the Champions League and for European football in general, and here are 4 reasons why. While it was kind of cool to see a huge side like Real Madrid become so dominant over the past few seasons, the fact that their exit this year means we’ll get a new champion at the end of the tournament is a great thing. Firstly, nobody wants to see a predictable tournament in any sport – that’s why the Premier League, which has multiple potential winners, tends to be more popular than France’s Ligue 1 or the Italian Serie A, which have been dominated recently by Paris Saint-Germain and Juventus respectively. Secondly, the fact that Los Blancos have been eliminated in the Round of 16 makes things even better. If they’d have fallen in the semi-finals, as they did in 2014/15, obviously only the two semi-final winners would be potential champions. In this scenario though, there are going to be 8 potential new champions – and right now, with one side of the bracket not yet completed, we’ve actually got 12 of them. Essentially, instead of seeing the likes of Sergio Ramos, Gareth Bale, and Luka Modric pick up yet another Champions League trophy, we could see it return to England, Italy or Germany – or it could even go back to Spain, but in the hands of Barcelona or Atletico Madrid. And that means the Champions League gets freshened up, which is only a good thing.